Boston-area tech companies are making moves at a furious pace in the early goings of 2017. This week, we’re catching up on a trio of acquisitions (including a deal involving Google and Twitter), a spate of startup funding news, and new leadership at a Draper Laboratory spinout company. Read on for the details. —Four years after Twitter acquired Cambridge, MA-based Crashlytics, it’s selling it to Google. The sale is part of Google’s deal to acquire Fabric, Twitter’s suite of software tools for mobile app developers. The purchase price wasn’t disclosed. Twitter bought Crashlytics for more than $100 million, including a $38.2 million up-front payment in the form of common stock, according to Xconomy sources and a securities filing. —Citrix Systems (NASDAQ: CTXS) said it acquired Marlborough, MA-based Unidesk, a decade-old application management technology firm. The purchase price wasn’t disclosed. Unidesk had raised about $44.7 million from investors, according to SEC filings. 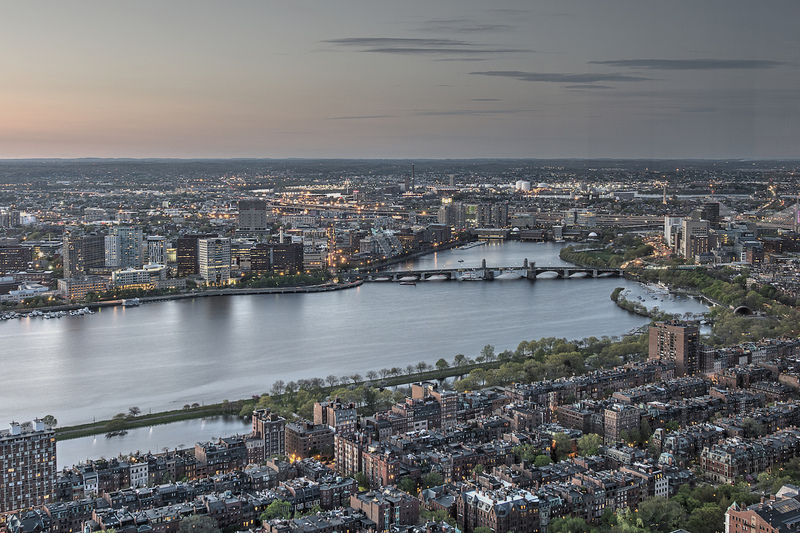 Santa Clara, CA-based Citrix recently struck another (much bigger) deal with another Massachusetts company—a $1.8 billion merger of its GoTo division with Boston-based LogMeIn (NASDAQ: LOGM). —Andover, MA-based Omtool was sold to Austin, TX-based Upland Software for $19.2 million, according to a press release. Omtool makes software for capturing and managing documents; its customers are primarily in financial services, law, and healthcare. Upland provides cloud-based software for enterprise work management. —The founders of cybersecurity firm Trusteer are back with another security startup, called Transmit Security. Rakesh Loonkar and Mickey Boodaei have put $40 million of their own money into Transmit, which has offices in Boston and Tel Aviv, Israel, according to the Boston Globe. The pair previously sold Trusteer, which also had dual headquarters in Boston and Tel Aviv, to IBM in 2013 for more than $850 million, the Globe reported. —DarioHealth (NASDAQ: DRIO) announced it raised $5.1 million led by OurCrowd Qure, based in Jerusalem. Burlington, MA-based DarioHealth makes consumer digital health products, including a blood glucose monitoring system for diabetics. —Marijuana technology startup CannaKorp announced a $4.1 million Series A funding round led by private equity firm Singularity Capital Management. The Stoneham, MA-based startup makes a “single-use, pod-based cannabis vaporizing system,” or, as various media outlets have called it, essentially a Keurig for weed. —TellusLabs nabbed $3.1 million in seed funds led by IA Ventures, with contributions from Hyperplane Venture Capital, Founder Collective, and Project 11 Ventures, according to a press release. Boston-based TellusLabs uses machine learning technologies to analyze decades of satellite images of Earth and other geospatial data. Its first product is being used to forecast U.S. soy and corn yields. TellusLabs won $100,000 after participating in last year’s MassChallenge startup accelerator program in Boston. —Boston edtech startup AdmitHub raised $2.2 million in funding led by Relay Ventures and Reach Capital, alongside University Ventures and other investors, according to an article by EdSurge. The Techstars alum provides information and support to college students via an artificial intelligence chatbot. —Atiim, a new performance management software company in Cambridge, MA, has raised $1 million from Accomplice and other investors, according to a BostInno profile. —Lastly, Draper Laboratory spinout Lexumo has a new CEO: Daniel McCall. McCall has worked in the tech industry for more than 30 years, and previously co-founded Guardent (purchased by Verisign in 2004) and Virtual Computer (bought by Citrix in 2012). Lexumo co-founder Brad Gaynor served as the two-year-old company’s CEO until last August, when he became its chief technology officer, according to his LinkedIn profile. Lexumo aims to secure open-source software written for connected devices and embedded systems. Read more in this Xconomy profile.